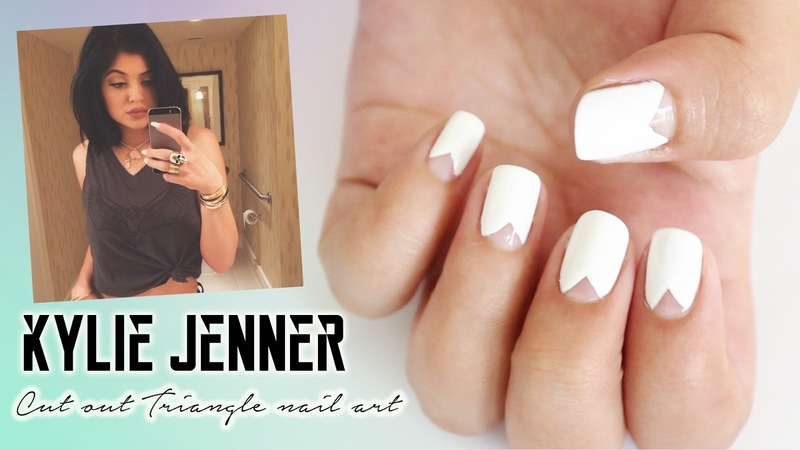 Hellomaphie: KYLIE JENNER Cut Out Triangle Nail Art ▲ NO TOOLS NEEDED! Hi Guys! In today's video i'm going to show you how to copy Kylie Jenner's White Cut Out nails. This design looks great on any nail shape and the great thing about it is that you don't need any tools to recreate it. Hope you like the tutorial and see you next time!